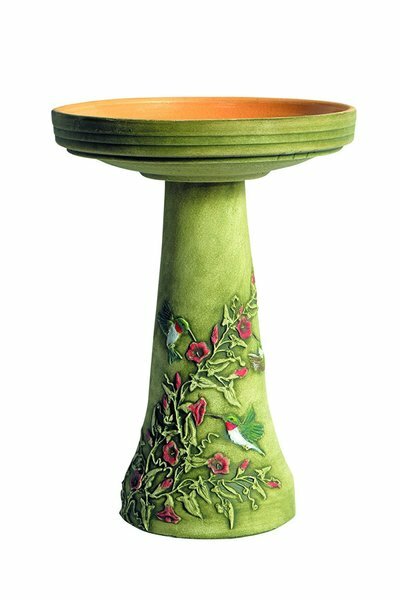 Bird baths have come a long way from those plastic white things that blew away or rotted. 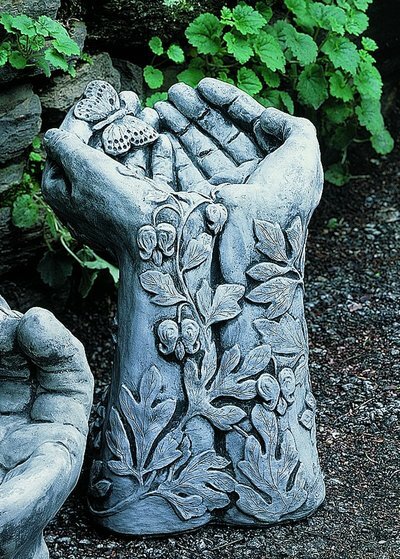 You can create gorgeous yards with these art pieces. I love anything for the yard that not only looks awesome but has a purpose. Keeping fresh water for your birds is super important especially in the hotter months. When you water your flowers add fresh to the bath. 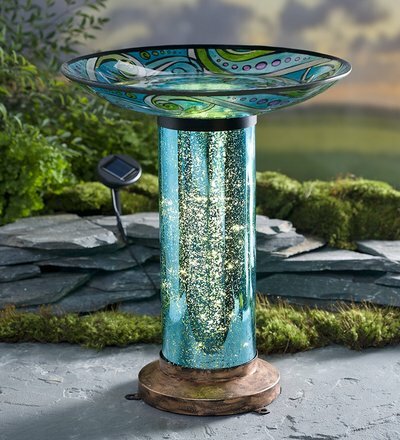 This is the perfect way to keep fresh water flowing in your bird bath and waterer. These would hang from trees or hooks and you only have to change the water when the bottle empties. Perfect for if you go away for a few days. 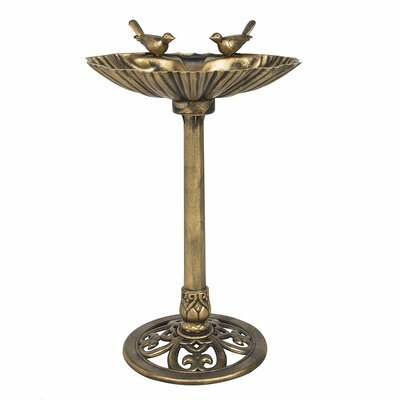 Birds just love this as there are 4 compartments for taking a dip or drinking, and by filling up the bottle reservois ahead of time the baths are always replenished. 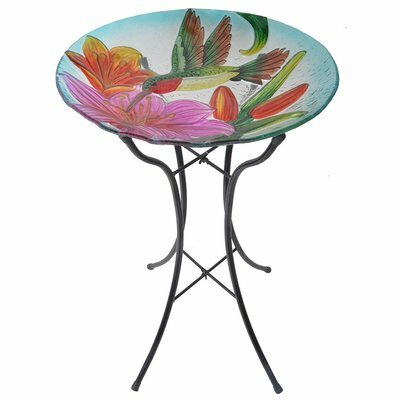 You can simply hang this unit near your bird feeders or you can mount it on a 4 x 4" post. Simply click on the picture of the link to find out more. I love the idea of fresh water running into the baths. It is completely washable and birds will find it quickly especially if it is near their food. If you offer your backyard bird friends everything they will need they wll stay in your yard. Setup good feeding stations with homemade bird food and a nice place to live with bird houses and good fresh water for drinking and bathing and they will hang around and bring joy to your day! Watching birds have fun in the water is a very enjoyable experience. 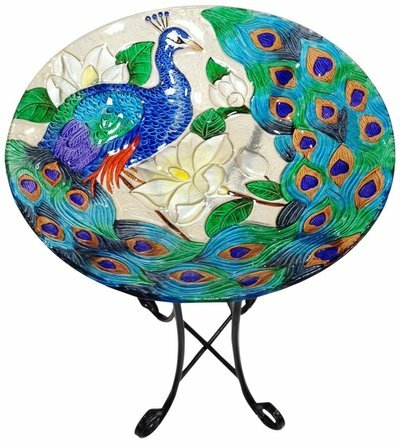 But what is even better is when you can have the bird bath hanging from a branch or hook. Many birds feel much safer far from the ground. This style is the perfect way to give them the safety they desire. In the hotter months birds need a good source of water. They can get water from fruits and nearby streams, but one of the best ways to attract all kinds of birds to your yard is to not only provide them with great food but also a nice drink or a bath. The tray in this particular product is removable and easy to clean. The wood is natural cedar so it will not rot and the chain will not rust. If you hang this on a hook have it near some trees so that the birds feel they have some protection. Another cool option is to keep the water moving so as to put off mosquitoes (they require still sitting water to breed) This way the water stays fresher longer. Operates silently on 2D cell batteries. 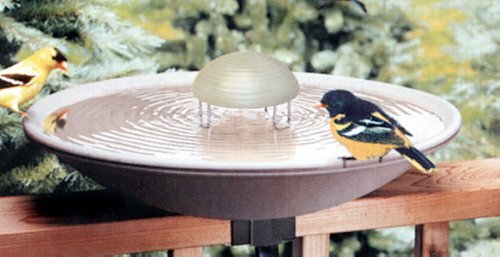 This is a great idea for the birds who love rippling water. Do your part to help them stay hydrated but to also thwart mosquitoes!